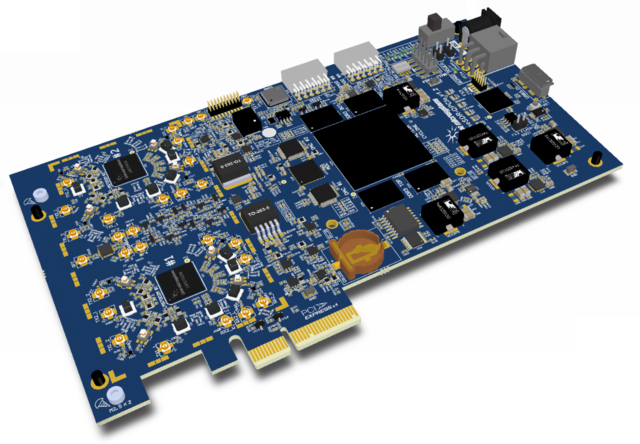 LimeSDR-QPCIe is software defined radio board based on Lime LMS7002M Field Programmable Radio Frequency (FPRF) transceiver and Altera Cyclone V PFGA, through which apps can be programmed to support any type of wireless standard, e.g. UMTS, LTE, LoRa, GPS, WiFi, Zigbee, RFID, Digital Broadcasting, Radar and many more. LimeSDR Made Simple - Demystifying using SDR in the real world and programming a simple example with confidence, through bite sized chunks. Windows only, OSX and Linux users do not need to install drivers for USB support. Follow driver installation instructions in LimeSDR-QPCIe driver installation description. Here is a list of additional components to be used with LimeSDR-USB board.